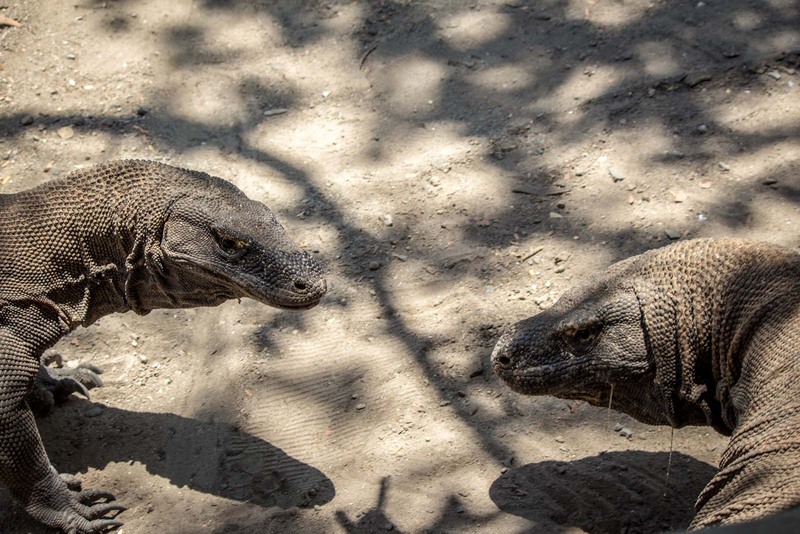 Komodo dragons on Komodo Island: Are Komodo dragons dangerous? Some people will tell you, sincerely, that the movie King Kong was inspired by an expedition to Komodo Island. Others will tell you, with as much conviction, that the island was the basis for Jurassic Park. Neither is necessarily wrong, neither is necessarily right. Regardless, stepping off the boat, walking down the small wooden pier and into the forest feels like a trip back in time – to a land where the lost animals of history rule supreme. The Komodo dragon exists only in this one part of the world – on four small islands in the Komodo National Park, in the southern part of Indonesia. The animal’s isolation from the rest of the planet is what has ensured its survival for so long. It had no predators and was not discovered by the Western world until 1910. Quarantined and indomitable, evolution largely overlooked these dragons. 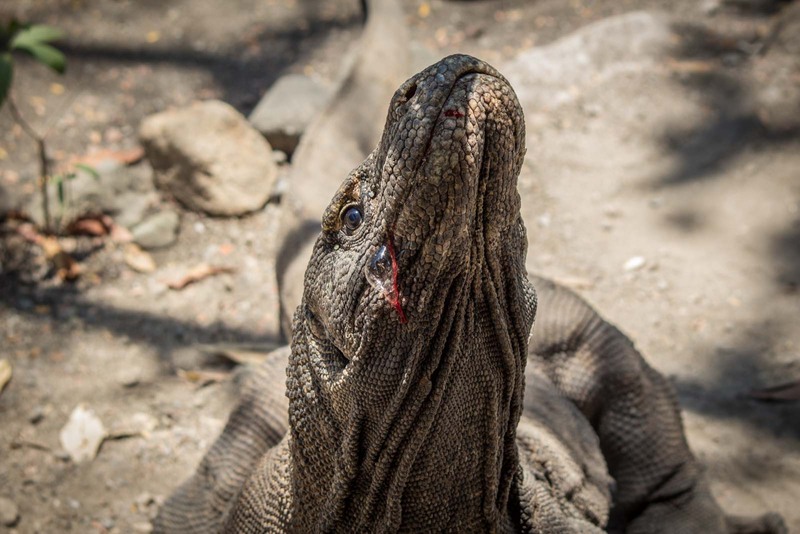 And be warned… Komodo dragons are dangerous! 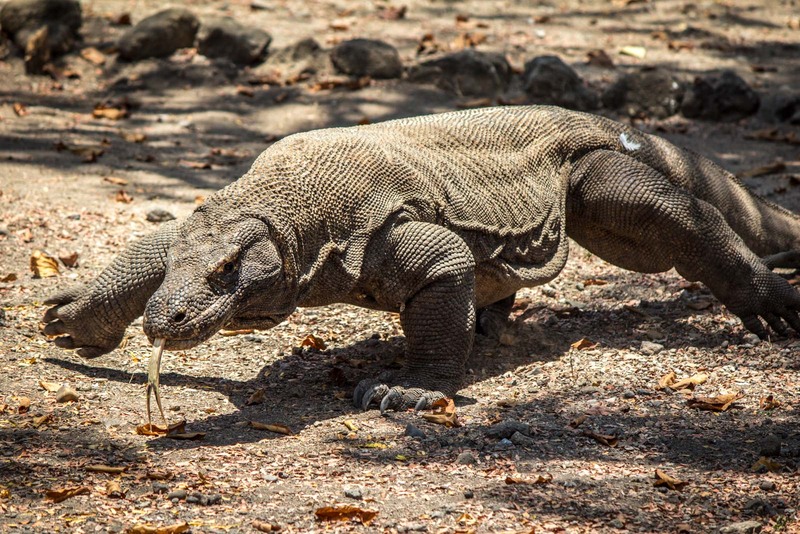 As I walk into the main camps of the two islands I visit – Rinca and Komodo – I can see some dragons laying on the ground. They seem docile and slow… but with sharp teeth and large claws, I keep my distance. 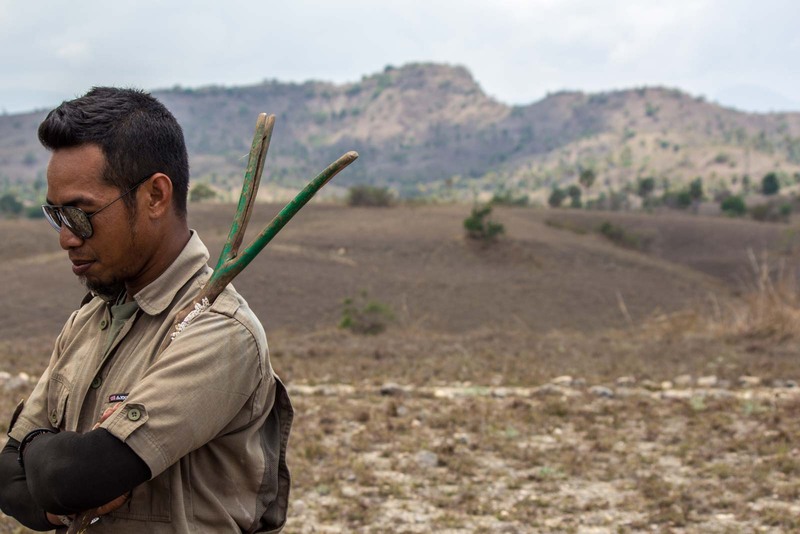 A group of rangers with forked wooden sticks are there to protect us. “We use the stick to push them away”, one tells me. Normally, these are defensive but humans are a potential food source. 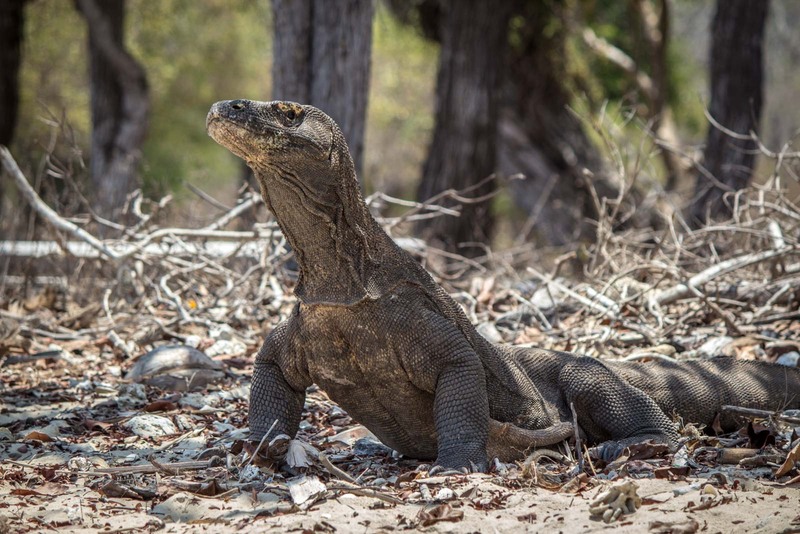 The most common foods of the Komodo dragon are deer, buffalo, goats, and birds. Sometimes they can attack their prey and then eat it whole, right there and then. Other times they will bite and then wait patiently. Their saliva contains bacteria that will eventually kill another animal so they will stalk it, sometimes for as long as three weeks, until it dies and can be devoured. 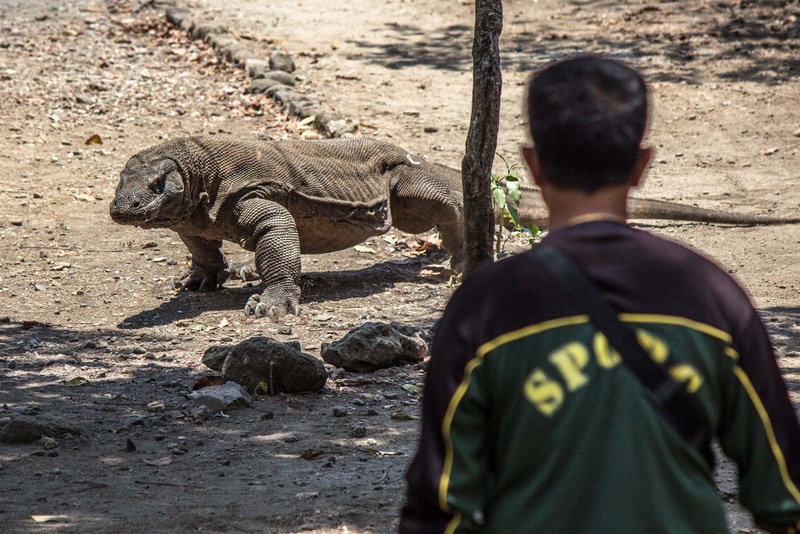 I see a demonstration of the Komodo dragon’s danger on Komodo Island, when a couple of them suddenly run across the ground at a high speed. Jaws snap and blood-tinged saliva oozes out the side. After 20 million years, these animals know what they’re doing. They are lethal when they want to be. As a visitor, there isn’t much danger, though. In fact, it’s less like Jurassic Park and more like a stroll in the park. Although there are about 4,600 dragons across all the islands, I saw less than a dozen. This is not a zoo and the animals are not always going to be in pre-designated viewing areas. They are wild and they come and go through the forests. They are also generally well-fed and will spend their time resting and conserving their energy. 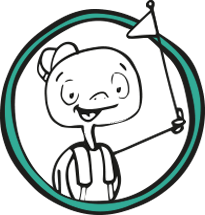 The rangers will look after you during a visit. They’ll tell you stories of living and working with dragons and they’ll show you some interesting things – such as the nest of dragon eggs and the mother guarding it. You’ll have a chance to walk around the islands and see the animals in their natural habitat. A few days before my visit, some tourists saw a group of dragons attack and eat a water buffalo. Personally, it is quite a special experience to come to Komodo and Rinca Islands. And knowing that only the tiniest fraction of the world’s human population has ever seen them here. And I am now one of those people. Topical! these dragons make an appearance in the latest James bond film ´Skyfall´ Great photos Mr Time Turtle! Nicely written, Mr. T! ARE THEY CUTE OR WHAT!! In the last picture it looks a bit like the little Komodo boo boo dragon is pooing while guiltily realising that he’s being photographed as doing so. But seriously, animals pooing (and I’m talking about the ones that actually need to stop to do it) have a very concentrated and thoughtful facial expression that makes for the most fascinating contrast to the action they’re engaged in. I like watching. Actually, I’d rather watch them poo than kill their prey. But that’s just me. Slightly off-topic once again. Anyway, loved your article (“…blood-tinged saliva oozes out the side” – very twiglighty. Rowr.) and will not try to shake dragon hands when going to dragon island. Mission “Educate & stimulate” accomplished once again, Michael. You’re the man. Put that way, you really are a lucky person to have seen these animals in the wild. They are huge, aren’t they? I’d like to see them, but from a very safe distance. Yes, they are really big. A lot of people think they are like small lizards but when you see them in the wild, you appreciate their size and their strength! After your first story I was a little scared to read…great pics. You are a legend! How do you get around? I’ve never had much money, and probably never will, but my boyfriend and I enjoy living on the wild side. We’d love to know how you got around. There are lots of ways to travel quite cheaply. And the good thing is that the wild off-the-path adventures are often the cheapest because you’re not dealing with the ‘tourist dollars’. I think they keys are to move slowly (because then you’re not spending too much on transport), live local (because then you’ll get the cheapest food) and look for experiences rather than sights (because often they’re free and are the most rewarding). For people who want to travel and live on the wild side, there’s always a way! Good luck! 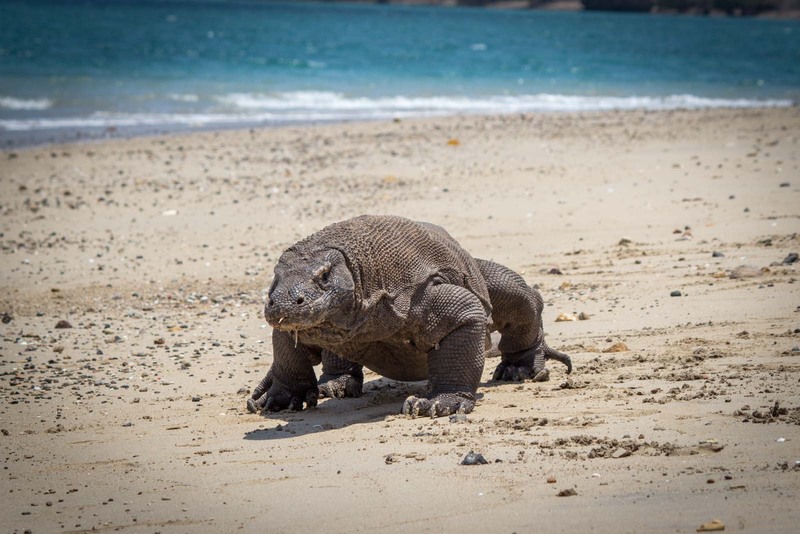 Wow… Komodo Island! I never knew there was such a place. What an amazing experience it must have been to see them in person! 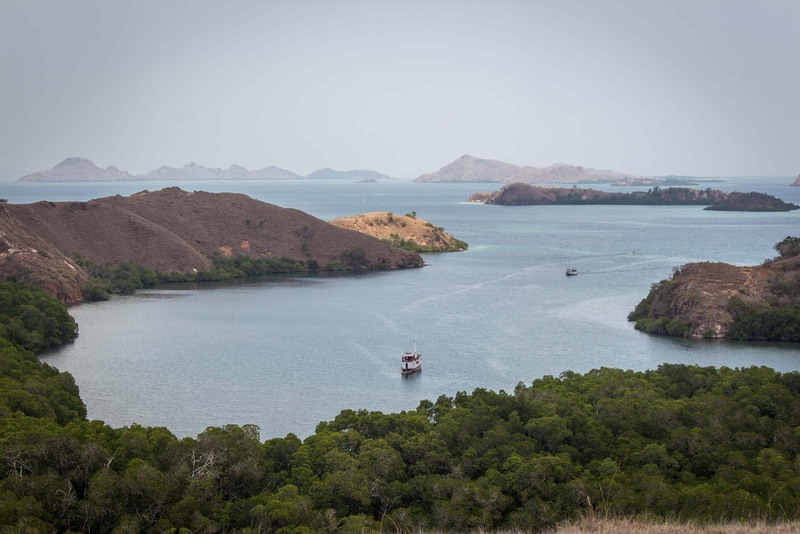 Komodo Island sounds like such a fantasy idea, doesn’t it? It’s a beautiful place, though – even if it does have the killer lizards all over it! I would love to visit this place…. such an amazing natural encounter! 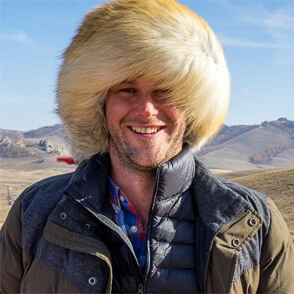 Yeah, it feels very natural. As I said, it’s not like a zoo or anything. You’ll wander around and maybe see just one or two – or maybe see dozens. Either way, it’s the way of the wild. I once had a dream where I was attacked by a Komodo dragon. It didn’t end very well…LOL Honestly, I’d love to visit these islands. I had a chance back in 2008 but didn’t act on it. I won’t make that mistake again. I hope you get a chance to get there sometime soon. It’s worth the effort! Great post! I would be scared of an up close experience with them! You definitely feel the adrenaline when they suddenly race at you! But I trusted the rangers to look after us. I don’t know much about Komodo dragons but your posts about them are fascinating me. I suspect before too long I’ll be planning a trip to see them myself in person! What great photos you captured of the ones that you saw. And you’re absolutely right; it is very special to be one of just a few people that have seen them in their natural habitat. Great post Michael, I remember watching a documentary not long ago, it was partly about the film crew and partly about the dragons. It was a brilliant insight to the feeding habits of the dragons, one of the dragons bit a buffalo which took several days to succumb to the effect of the poison, when it finally did the dragons were waiting, they actually followed the whole time and waited patiently for it to drop. The film crew were actually quite emotional about watching the drama play out before their eyes. Yeah, I find it really scary the way they stalk their prey for days (sometimes weeks) waiting for them to die from the bacteria in their mouths. It’s quite a lazy way of hunting really, isn’t it? But fascinating. 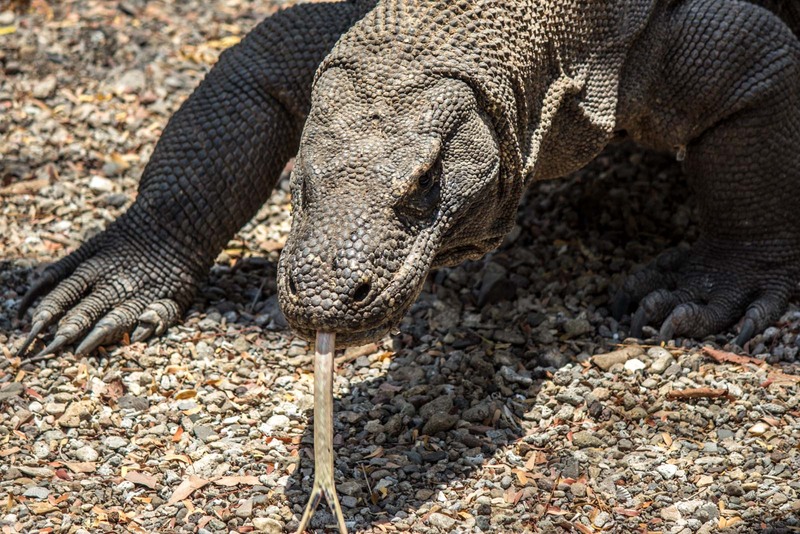 The Komodo dragon only has to eat about once a month so I guess they’ve got some spare time. Crazy. Somehow hard to think of something that looks large, ponderous and slow could actually chase down a deer to eat it. Perhaps it lulls the deers into a false sense of security by just looking so slow and lazy all the time. Then it’s time to attack! Wow, I did not realize Komodo Dragons ate people. I mean, they sure look like they could bite, but I’d never have placed them on the same page as sharks and lions and what not. Hi Michael, i would like to ask you some questions since we plan to visit Komodo island. Is it possible to go there with a kid of 5 years old and a little kid of 20 months? Do you know good trip organizer that do this? Thanks in advance. Btw great pictures of Komodo. Hi there. Yes, it would be possible to go with small children. The rangers are very good at looking out for you (you can’t walk alone) and they’ll let you know if you need to do anything different with kids. Most of the time the dragons aren’t too near so it’s not too scary. With regards to organisers, I’m not really in a position to recommend one particular one. If you search online, you’ll find people in forums recommending some. You can also just book it once you get to Labuan Bajo, and decide in person if you like a particular operator. Thanks Viola – I appreciate you stopping by! I finally got to see the dragons last month. Isn’t it amazing there are only a few thousand left in the world? Great pics, Michael! Thanks Christina – and I’m so glad you got to see them for yourself! They’re incredible animals, aren’t they? There aren’t many left, that’s true, but what I find really incredible is that there are any left at all!! My understanding is that they’re native to Indonesia (and these small islands in particular). But I guess humans may have transported them to other countries like Cambodia by now. 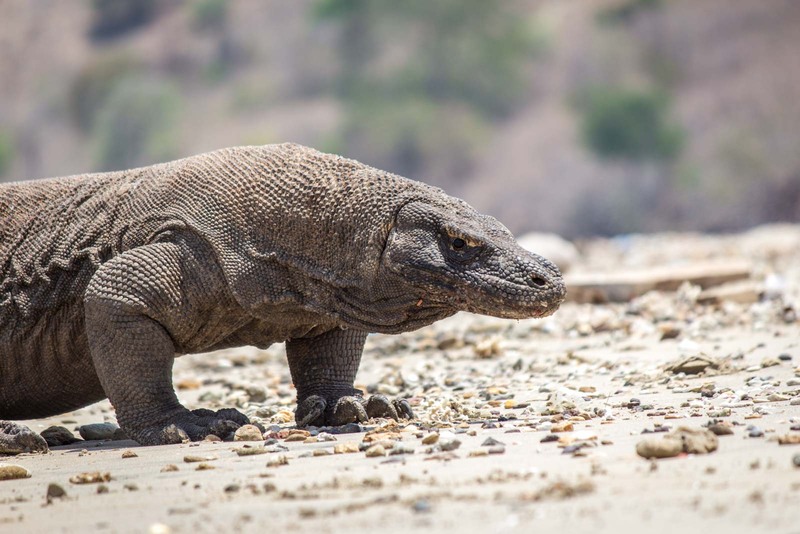 Interesting article about komodo dragons. this kind of animal only exist in Komodo Island.